What time did you get up today? What time did you get up last Sunday? What time will you get up tomorrow? Does it affect mental health? 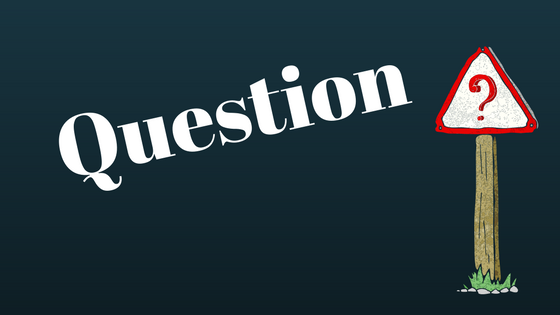 It may seem a little odd to start a blog post with questions about what time you get up. There is a reason, though. 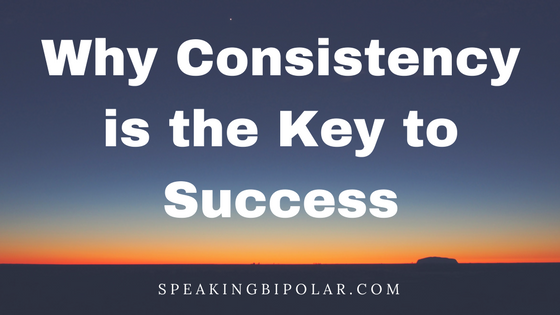 Consistency, especially for mental illness warriors, is the key to success. 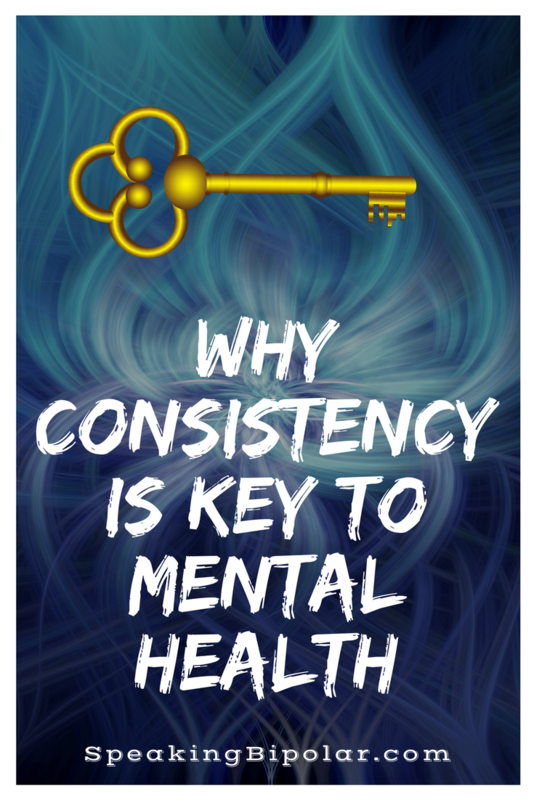 Today, let’s consider a few areas where consistency produces results in life and with mental illness. 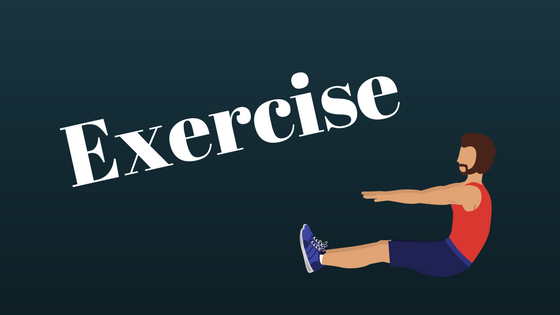 Exercise is the easiest topic to start with when talking about mental health. Everyone knows that consistency with exercise is essential to success. Whether your goal is weight loss, better heart health, or running a marathon, you will never reach that goal without consistency. Consistency is that push you need to get up and go running while it’s still dark and cold out. Consistency is what stops you from buying the whole dozen doughnuts, even when you can’t help yourself from having one. And, consistency is what keeps you snacking on carrots instead of Cheetos. I love Cheetos, so this is a hard one for me. If you want to reach a fitness goal, you must be consistent in your training and eating habits. If you slip off track or miss a few days, remembering your goals and why you want to achieve them will get you moving again. Exercise is important for everyone. For mental health warriors, it can be the thing to gets you out of bed, out of your house or away from the TV. It helps to reset your brain and gives you something good to focus on for a few minutes rather than all the noise in your head. 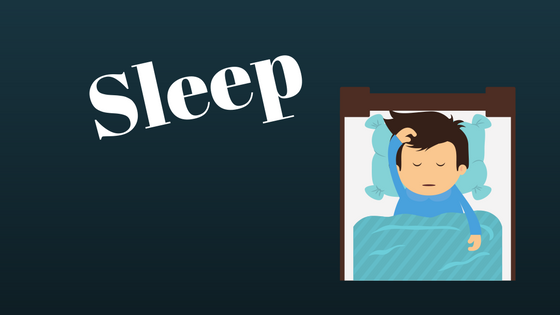 Adequate sleep is one of life’s basic necessities and is vital for good mental health. Sleep deprivation leads to irritability, psychosis and can even cause death. Workaholics often don’t get enough sleep because they work too late into the night and then get up too early in the morning to return to their passion. Spending too much time sleeping is equally unhealthy. When I was hospitalized, one of the first things they taught us in group therapy, and man did I hate group therapy, was that we should get up at the same time every day, whether or not we slept. I’m going to repeat that last part again because it’s important. Whether or not we slept. Yes, you might get some sleep during the day after being up all night. But you are creating a vicious cycle. By sleeping during the day, your body is not going to need to sleep more that night, so you will be up again. Followed by another day of sleeping during the day. And so on. Instead, go ahead and get up. If 7:00 AM is your get up time, then get up. Get out of bed. Take a shower and get dressed. Try to stay up and active as long as possible. You may feel like complete crap. You will probably feel like crap. It may be a struggle to stay upright and to be even remotely pleasant to the people around you. Stay up as long as you can. Until your normal sleeping time. I’m a realist, and I live with bipolar, so I know that you might not sleep tonight. It is not uncommon for me to go 2-3 days without sleep. But you will sleep again. You stand the best chance of getting back to a healthy place quicker by sticking to a routine even through the bad days. People with high blood pressure or diabetes know the dangers of not taking their medicines consistently. Not only do they have to take their medication every day, but usually around the same time each day. Mental illness is just as serious. 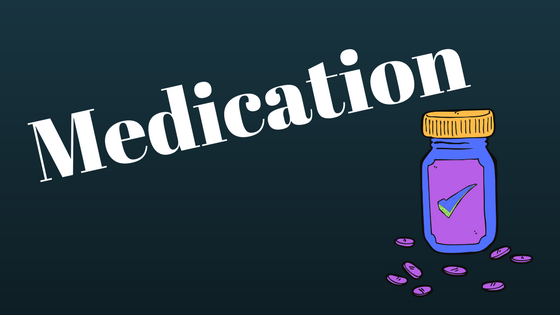 Medication should always be taken every day and as close to the same time every day. I have watched in horror as many bipolar friends have stopped taking medication or only taken it on days when they felt they needed it. Bipolar, depression, and other mental illnesses seem to be progressive. I’m not a doctor nor a scientist, but there seems to be valid proof to this point. The patients that play games with their medication seem to get progressively worse with time. Medications may even stop working. This lesson was reaffirmed for me during the past week. Partly due to my forgetfulness, and largely due to the incompetence of my medical center’s staff, I have gone nearly a week without medication. A week doesn’t seem like it should be a big deal. But it is. Today, I incapable of being around people. The beast inside me was in full rage mode. I wanted to hurt everyone and everything. And that scares me. My journey with mental illness is long and full of ups and downs, but I have managed to stay mostly stable for the last twenty years. The biggest reason for that is that I take my medications every day and close to the same time every day. In a day or two, I will be my smiling self again. Most people that know me will have no clue that I have gone days without sleeping. They won’t know how I slipped unavoidably under the dark ice, trapped in the black sea of pain and anger. And that’s okay. They don’t need to know. Consistency will get me through this too. Consistency is the key to success. A business won’t succeed without constant work. A novel won’t ever be written without regular writing. Diseases will never be cured without consistent research. Do your part. There are far too many things we can’t control. The world seems to become scarier every day. But for the most part, consistency is under our control. Start getting up at the same time every day, whether or not you slept the night before. Try it for at least three weeks. Then come back and let us know what positive changes you’ve noticed as a result. If you enjoyed this post, please take a moment to share it with someone else or on social media. In conclusion, I’d like some feedback on the expression, “mental health warriors.” I think that those of you living successfully with mental illness, and some days just staying alive is living successfully, deserve some sort of recognition. Another way you can improve you mental health is through journaling. Be sure to read the post 3 Reasons Why You Should Be Journaling.